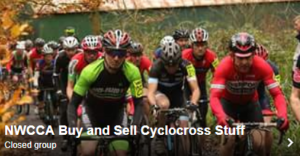 Saturday 12th November see’s the North West Cyclo Cross League return to Otterspool Park for the 2nd time in a fortnight. Organised by the Liverpool Century Road Club, the Youth event will start the racing off at 11am with the main event starting at 1pm. The Geoff Bewley Memorial races will be just one of many cycling events taking place on the day as part of the Liverpool Cycling Festival. Cycling Projects and Cycle Aigburth will be organising various cycling activities on the day such as Dr bike, Wheels for All demonstration, Social Rides and a Children’s cycling skills course. The course will be similar to last year’s event due to the sheer amount of positive comments we got back from the riders. Again we will be using the feared ‘Ottersberg’ and ‘Muro Di Otterspool’ climbs. Otterspool Park offers something for everyone and we have designed a challenging yet fun course, because we think Cross is really about having fun in the mud! The course consists of tarmac paths, grass fields, descents, run-ups, off camber turns, hairpins, planks and much much more. Riders will be able to sign on at the fantastic Otters Café. Otters Café will be serving hot food and drinks throughout the day. The café is allowing us to use their toilets on the day, no changing is allowed in the toilets. Please do not enter the café wearing muddy footwear, the café opened 1 month ago and we want to continue using it in the future. BioRacer have provided Winners Jersey’s for the Winner of the Main Event and the 1st Woman. The Top 3 finishers in each category in the Under 12’s event will receive a medal and certificate. Kuota, HighonBikes.com, BioRacer, standoutdriveways.com, standoutglass.co.uk, Giant Liverpool, David Lloyd Speke, Active Adventures, Otters Café, Target Sports, Errea, The James Munro Restaurant, aplparking.co.uk, skyparkliverpool.co.uk and Muc Off. Geoff Bewley saw the need for cyclists to keep fit in the winter month and cyclo-cross was ideal. Geoff organised the Century event along with other local clubs using Otterspool Park as the venue. In the early days he would be ringing around looking for sponsorship from local traders and supermarkets, taking small drinks and mars bars etc. Geoff really did take the event to heart every year designing a hard course. He would along with Betty his wife travel to all the cross committee meetings and have his say. Geoff had 60 years membership, 10 years as club President when he died. And it was a 100% effort over those years for the club, running winter training sessions in school gyms, weight training in his garage. He would organise the speed runs, the weekend away training at Dolly Hall (Wales) and in the early days at Lilleshall. He enjoyed anything cycling, he was Mr Century.